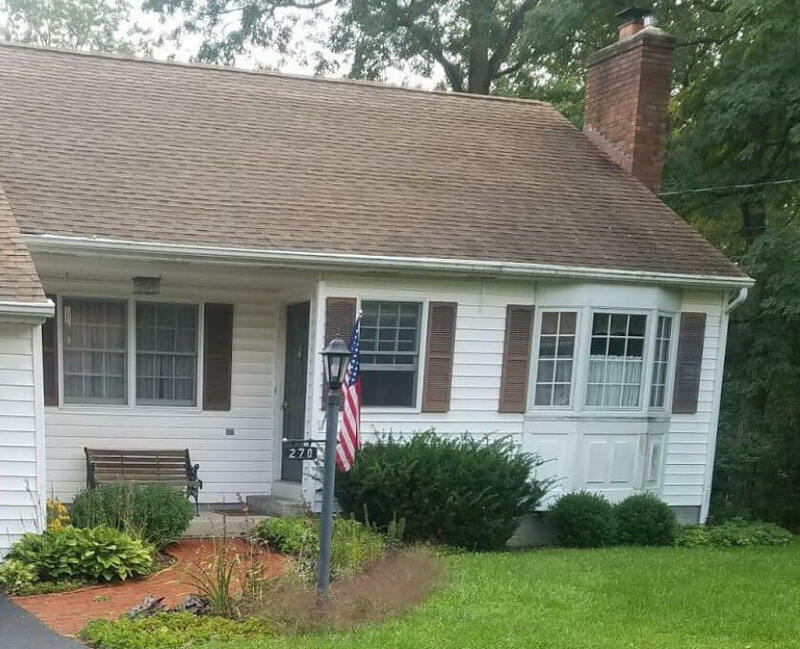 As the leaves slowly start to turn, we are reminded that despite the warm weather we’ve been having in New York, it is in fact the end of summer, and autumn is right around the corner. If you are like me, you are bewildered by this realization, wondering where the summer went! This season, as opposed to others, particularly felt very quick to me. But now I can feel the pace slowing, and since Starbucks has officially put pumpkin spice latte back on the menu, autumn feels inevitable. Fortunately, autumn in the Northeast is typically spectacular—infamously so. For those of us who live here, fall is a special treat, and one I always look forward to, so in honor of the changing seasons, we thought we’d profile some of our absolute favorites for autumn interest, that you could incorporate into your gardens and landscape to get some of that spectacular color. I love Goldenrod too much to pick just one species to talk about. 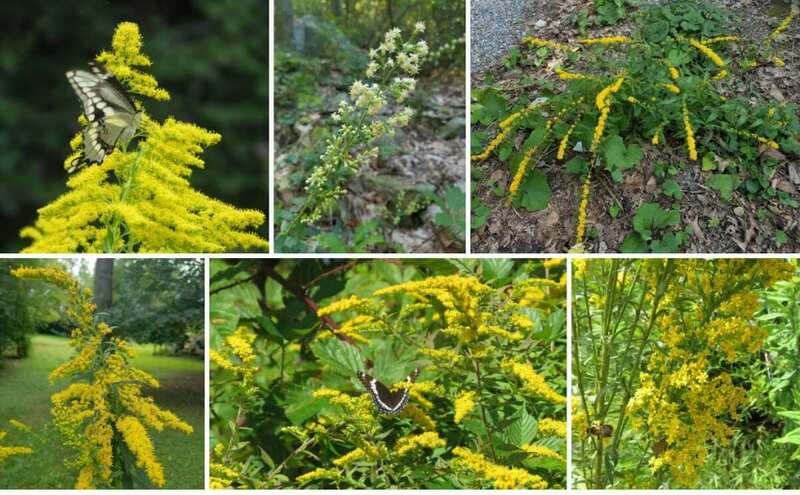 Goldenrod has gotten a bad reputation, being confused frequently with ragweed, which causes hayfever, however Goldenrod is not wind pollinated, and therefore does not cause allergies. A very drought-tolerant plant, that iconic golden color always brings back memories of my childhood roaming the former dairy pastures of upstate New York. You can hardly go wrong with any species, and all of them are fantastic pollinator plants. Some even do well in shade, like Solidago flexuosa, the Zigzag goldenrod, and S. caesia, the Blue-stemmed or Wreath goldenrod. They will also do well in full sun, given adequate moisture. Some, such as Solidago bicolor, silverrod, the white species, are great for dry areas. It has a lovely, candle-like single stem. Solidago nemoralis (Gray goldenrod), is one of the smaller species, and does well in very tough sites with poor, rocky or sandy soils. There is even a goldenrod for places that get hit by salt frequently (such as road salt in the winter), like Solidago sempervirens (Seaside goldenrod), which grows in the wild in coastal locations. 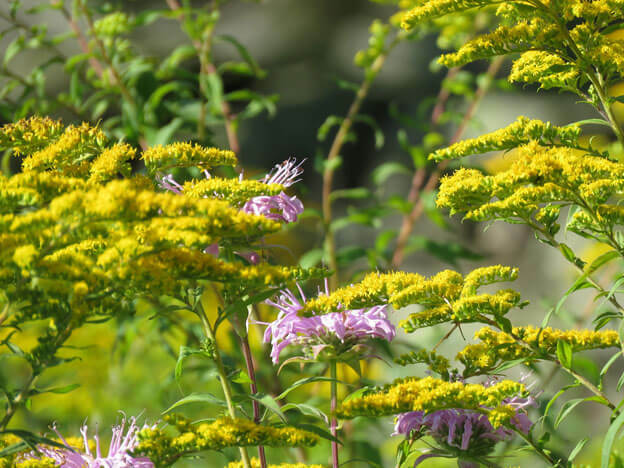 I think any meadow should be sure to include Goldenrod for that fantastic autumn color and pollinator value. Some of the best individual species for the meadow are Solidago speciosa (Showy goldenrod), S. canadensis (Canadian goldenrod), S. rugosa (Rough goldenrod), S. odora (Aromatic goldenrod), and S. rigida (Stiff goldenrod). Some species can be aggressive—Solidago canadensis and S. rugosa, for example, but when planted with similarly aggressive plants (like some grasses and other Solidago species), they can be kept in check with regular mowing. Parthenocissus quinquefolius gets a bad rap for strangling trees—I am not entirely certain where this has come from, but it may be influenced by the invasion of vines like Asian Bittersweet, which do wreak havoc on our forests. Parthenocissus does not behave like Bittersweet—while it may be found climbing up trunks and branches, it does not harm those trees. So feel fine planting this fall stunner in your backyard, on your fire escape—just about anywhere. Parthenocissus is an incredibly adaptable plant and has a wide variety of fall color from brilliant fire red (shown above on arbor), or a deep purple that complements the blue berries birds love (shown below). Plant Parthenocissus on a wall, fence, arbor or exposed stones for a brilliant autumnal display. 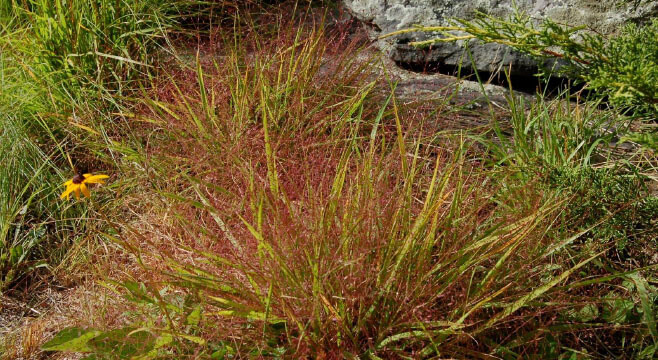 Eragrostis spectabilis is a very surprising grass. For the majority of the season, it is not much to look at, then suddenly, around late summer, it releases its seedheads producing this stunning purple cloud through the fall. It is a low, mounding grass that will not get very high—subsequently, I find that it makes great borders. It also does well designed as swaths of color placed in the distance, mixed in with other perennials and grasses in landscapes. It is especially useful as a meadow plant, if the desired meadow height is below 2 feet in height or as an edging for taller meadows. Above, Eragrostis paired with other grasses in a border surrounding a stepping stone path (currently obscured from view) at Flying Trillium Gardens and Preserve. Some asters and goldenrod can be seen in the background. Very drought tolerant, it prefers well-drained soils, but will do well in a formal garden setting. 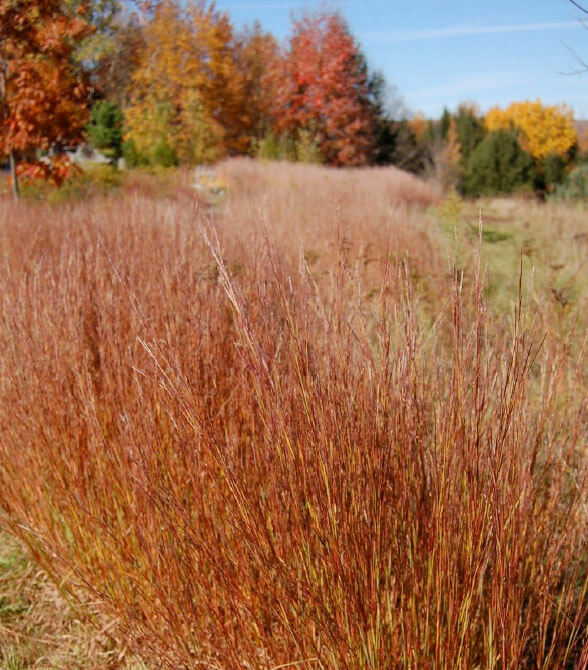 Below, a border of Eragrostis frames a perennial border in a suburban front yard in upstate New York, just outside Albany, NY. It should be said, however, that the straight species itself has so much variation that cultivars are almost unnecessary. I have driven past multiple stands on the Taconic Parkway in New York State, where one population might have a slight bluish hue and then 5 miles down the road there is another more purple population and then 5 miles past that there yet another more red population! 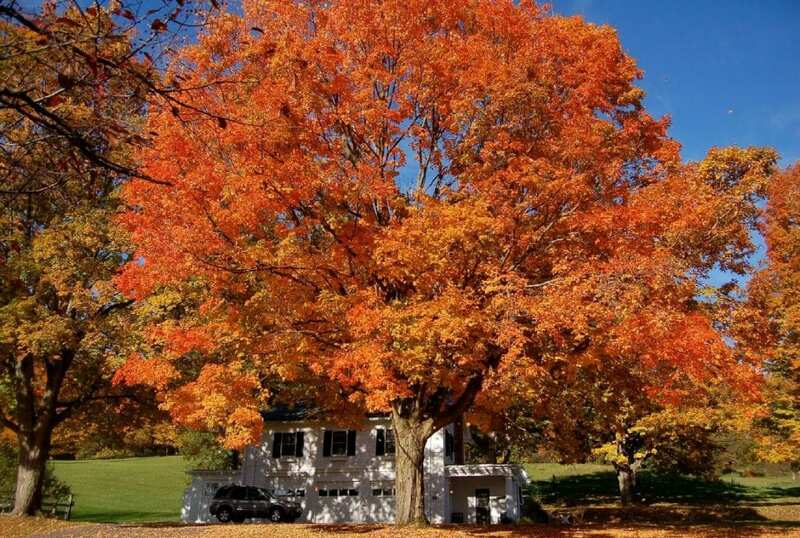 Nothing is more iconic about the Northeast as the fall, and nothing contributes more to that than Acer saccharum. It lights up the forest, heralding the arrival of winter and the promise of maple syrup to be tapped, only a few months later. While not the only tree that can be tapped, it has a high sugar content, making it the most popular species for that purpose. And of course, nothing beats this tree for fall color. A great specimen tree as an individual, the color also looks great in a mass. A true New England-like scene, shot in Hamilton, NY.